An Arkansas House committee on Friday voted against a bill to remove a requirement that auto body shops secure written consent before installing aftermarket parts on warrantied vehicles, a collision repairer who attended the meeting said. Craig Griffin, owner of El Dorado, Ark.-based Laneys Collision Center and a former SCRS board member, said the House Insurance and Commerce Committee voted against recommending Senate Bill 291 be passed by the full House. Griffin recalled three collision repair facility owners and one manager testifying against the bill before the committee Friday morning, and LKQ representatives speaking in favor of it. “It was a fairly long committee hearing on the bill,” he said. Arkansas doesn’t have a formal collision repair trade group keeping tabs on the Legislature, and Griffin said he wasn’t sure if any other measures of interest to the auto body industry existed this session. “I’m actually planning on looking this weekend,” Griffin said. Griffin credited the Automotive Service Association and the Society of Collision Repair Specialists for helping connect Arkansas repairers with each other on the bill. “It was good to have both of them involved,” he said. Another crucial partner was the Arkansas Automobile Dealers Association, which lobbied against the bill. “Working together is what got it stopped,” Griffin said. 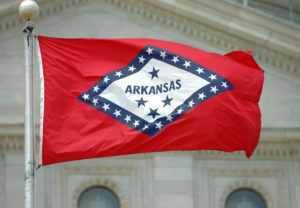 Be heard: Arkansas legislator contact information can be found here.